Due to helpful unforeseen surface conditions and few creative software changes, NASA has been able to keep Opportunity alive and operational to this day. 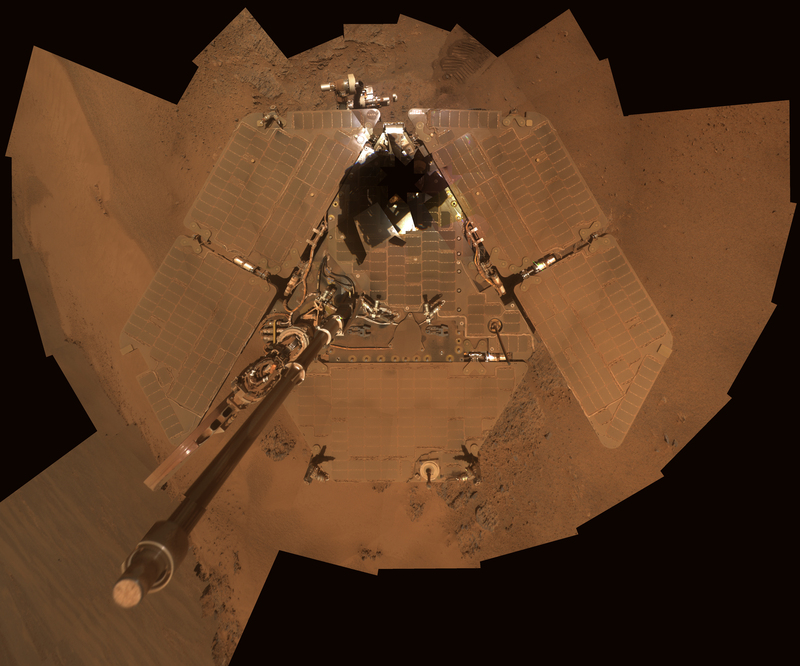 After a six-and-a-half month journey from Earth, Opportunity entered the Martian atmosphere and used a parachute, retrorockets, and a cocoon of airbags to land safely on the surface back in January of 2004. One of the reasons NASA believed the rover would only function properly for 90 Martian days was because of the extreme level of dust on Mars. This dust was predicted to build up on Opportunity’s solar panels and eventually, the rover would be unable to receive power. Receiving solar power on Mars, which is 50 percent farther away from the Sun than Earth, was a known challenge even without the dust. NASA designed Opportunity’s solar panels to be as wide as possible in order to collect as much sunlight as it could. Even so, the lifetime of Opportunity was measured in days, perhaps months, but certainly not years. Luckily, a surprising thing happened: every once in a while, whirling columns of air, or “dust devils,” swept over the rover and cleaned off the coating of dust from the solar panels. 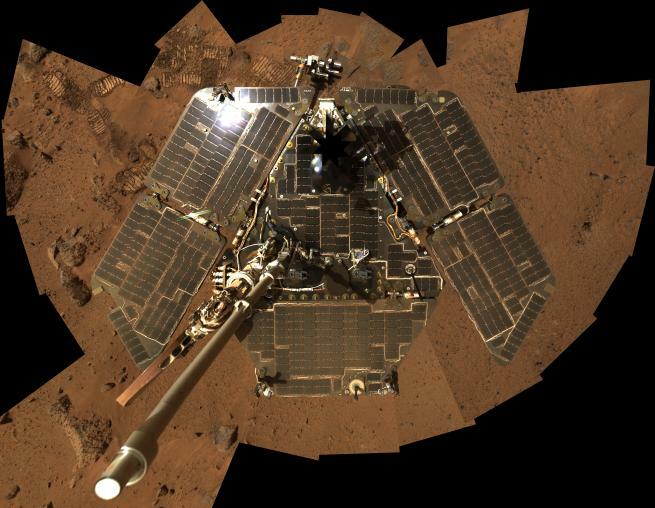 This was a godsend to Opportunity and the NASA team who operated it. Dust build up would continue to be a challenge, but Martian dust devils have helped keep the rover’s lights on. Two of Opportunity’s scientific instruments no longer work, its joints occasionally lock up, and it experiences periods of amnesia due to problems with its flash memory. Even so, the rover continues to accomplish useful scientific work. In recent years, researchers used Opportunity to examine a series of large craters in order to get a look at older layers of Mars’ history.